At the Fertility Center of San Antonio, we are pleased to offer advanced fertility treatments that help people start the families that they have always wanted. In particular, in vitro fertilization (IVF) has proven an effective fertility treatment option for many couples and individuals dealing with male issue fertility and female infertility matters. We receive a number of questions about the success rates for IVF, so we'd like to cover these topics in brief right now. These numbers take into account patients of all ages, so the success rate for your IVF procedure may be higher or lower based on your age as well as other factors that affect your fertility or your partner's fertility. For instance, in women 35 and younger, the pregnancy rate is 47.6% and the live birth rate is 41.4%. In women who are ages 38 to 40, the pregnancy rate if 30.1% and the live birth rate is 22.3%. Women who are in their early-30s and younger tend to be more fertile than patients who are in their mid-30s and older. This is simply the nature of the aging process. As women get older, their fertility decreases to a certain degree, and rates of birth defects and potential miscarriage increase (particularly after the mid-30s and after 40). The age of the man can also have some bearing on the success rates of in vitro fertilization (IVF). The quality of a man's sperm can diminish with age, which can play a major part in potential birth defects as well as male factor infertility. There are a number of ways that other fertility treatments can be used in conjunction with in vitro fertilization (IVF) in order to improve the overall chances of successful pregnancy and live birth. If a woman has issues with the quality and viability of her own eggs, an egg donor can be sought. This is a woman who provides eggs to be used by couples who do not have viable eggs of their own. If a man has issues with the count or quality of his sperm, a sperm donor may be an ideal option. Similar to egg donors, sperm donors provide sperm when couples do not have viable sperm of their own. If a woman runs a risk of possible miscarriage, seeking out a surrogate carrier is often a good idea. 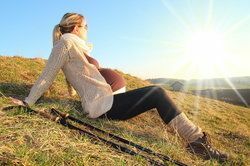 A surrogate carrier is a woman who agrees to carry a child to term for a couple that is biologically at risk for miscarriage or otherwise incapable of carrying the child to term on their own. During the consultation process at our practice, we will be more than happy to go over all potential fertility treatments in greater detail. This will help you learn more about all of your options for fertility treatment and which might be the most ideal for you and your needs. For more information about in vitro fertilization (IVF) and your many other options for starting the family that you have always wanted, be sure to contact our team of fertility doctors today. The entire team here at the Fertility Center of San Antonio look forward to your visit and going over all treatment options with you in more detail.